The day was stinking hot and dry, but the empty prairies were truly epic, especially with the distant thunderheads. The key was making sure the fence and clouds were perfectly aligned. How did I do? Nikon D7100, tripod, polarizing filter. Remarkable photo, Frank — impeccably clear. And the vastness is breathtaking. I have always wondered what the story behind the small bird houses on the fences around here is? No idea, Inger. 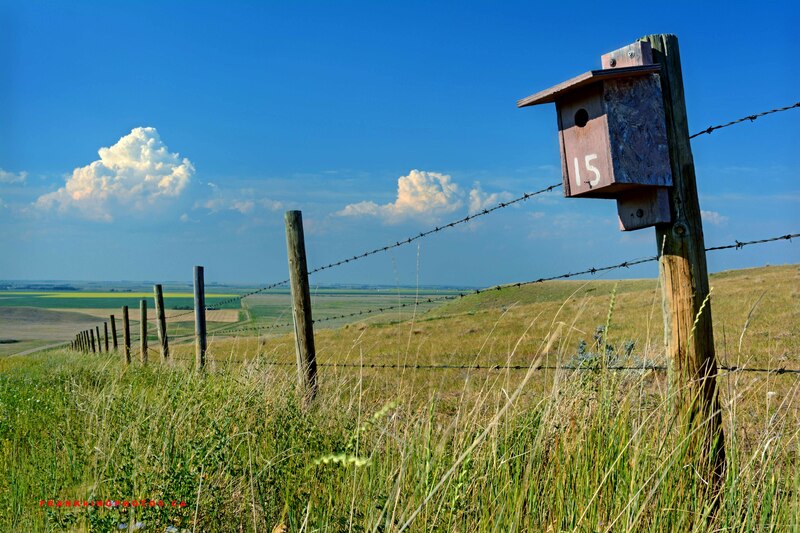 But there are random bird houses just like this all over southern Alberta, including near my house.